Listeriosis is an uncommon illness that can result from eating foods contaminated by the bacteria, Listeria monocytogenes. Pregnant women, newborns, the elderly, and persons with weakened immune symptoms are most commonly affected and are more likely to have severe illness. The symptoms may start in as few as 3 days or as many as 70 days after eating or drinking a product contaminated with the bacteria. Symptoms can include sudden onset of fever, intense headache, nausea, and vomiting. Invasive listeriosis has been fatal in 20% of people diagnosed with listeriosis. If the disease progresses to infection of the brain and spinal cord (meningoencephalitis), it can produce delirium, shock, and coma. Infected pregnant women may have only a mild, flu-like illness, but infections during pregnancy can cause miscarriage, stillbirth, premature delivery, or illness in the newborn. L. monocytogenes is found in soil and water. Vegetables can become contaminated from the soil or from manure used as fertilizer. Animals can also carry the bacteria without seeming ill, and can cause contamination of foods such as meats and dairy products. 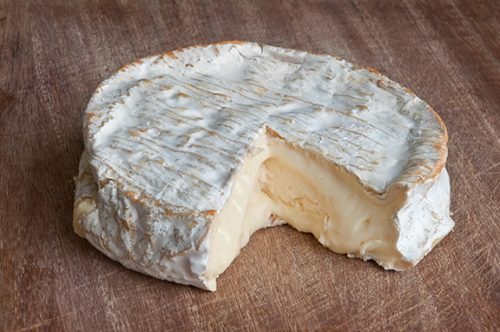 You can get listeriosis by drinking or eating raw (unpasteurized) milk or milk products–especially soft cheeses– or from consuming contaminated raw vegetables. The bacteria are sometimes found in ready-to-eat meat products. You can also get it through direct exposure to the feces and fetuses from infected animals. A pregnant woman infected with the bacteria can transmit the disease to her unborn child. This can result in the death of the fetus, premature birth of the child, or infection of the child after it is born. Your doctor can order a test to isolate the bacteria from a normally sterile site, such as blood or amniotic fluid (for pregnant women). Stool culture for diagnosis is not recommended. A doctor can prescribe antibiotics to treat listeriosis. When a pregnant woman becomes infected, antibiotic needs to be given right away to prevent infection in the fetus or newborn. Listeriosis is rarely reported in Hawaii, though it can be present in the environment, food, or animals. Most healthy people who are exposed to the bacteria do not develop signs of infections. Pregnant women, newborns, the elderly, and persons with weakened immune symptoms are at the highest risk of developing severe illness. Do not drink or eat unpasteurized (raw) dairy products. Avoid eating raw or under-cooked meats. 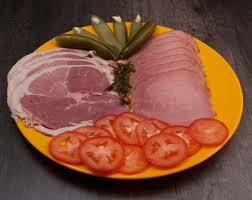 Always treat raw poultry, beef, and pork as if they were contaminated. Keep food that will be eaten raw, such as vegetables, from becoming contaminated by animal products. Do not lick your fingers, touch other foods, or smoke a cigarette before washing your hands after handling raw meat. Pregnant women, the elderly and those with weak immune systems should avoid exposure to anyone or anything possibly infected with listeria. This includes avoiding contact with persons known to have listeriosis and avoiding exposure to any diseased farm animals or aborted animal fetuses. Sprouts, deli meats, hot dogs and soft cheeses have been identified as riskier food items that can be infected with listeria. If you are pregnant or have a weak immune system, it is best to avoid these foods. Listeriosis is a ROUTINE/ENTERIC (enteric prevention priority) notifiable condition and must be reported by phone if the individual is a food handler, direct care provider, or pre-school aged child. Otherwise routine reports may be used.